BLUESFEST EXCLUSIVES, UB40 QLD SHOW ANNOUNCE, THE BLOG IS BACK & MORE! Before we unleash our second artist announcement for Bluesfest 2017 we want to give you, whether you have purchased a ticket or not, the opportunity to find out about some of the artists we have announced so far. Keep reading to see which artists are performing exclusively at our Easter fiesta (by exclusively, we mean you will not be able to see them anywhere else around Australia), plus the return artists that are getting everyone talking! Also keep reading for the latest news from Bluesfest Touring including the announcement that Ali Campbell’s UB40 ft. Astro & Mickey Virtue are coming back to Australia including the only Queensland show at Sandstone Point Hotel at Bribie Island on Sunday 15th January 2017! It sure has been a ‘5 day ticket race’, since the first artist announcement hit the streets just under two weeks ago. The 5 day ticket sales have now surpassed the 3 day tickets and the 1 day tickets by a long mile. It’s not surprising because at $104 per day for a 5 day ticket, it’s the best value for money a ticket can buy! You get to see all your favourite artists if you wish, but you can also take a break here and there, without feeling you are missing out! Bluesfest is a 5 day festival but be aware: the 5 day allocations are running out quick, and we can only sell a certain number of 5 day tickets overall, to allow enough room for our 3 day and 1 day visitors to attend Bluesfest as well. Already purchased tickets but want to upgrade to a 5 day pass? *You pay the difference between your original purchased 3 day ticket and the newly priced 5 day ticket. New ticket purchased, old ticket refunded – immediately. Call our friendly team on 02 6685 8310 who can help you with this! There are so many more amazing, incredible, gifted artists to be announced and we are beyond excited. Check out all the current ticket prices and packages right here and don’t forget we have a layby / Time to Pay ticket option that is super popular! Click here to find out more about paying off your tickets over 3 months. There has been a lot of excitement around our first artist announcement and in case you missed it – we announced some exclusive performances for Bluesfest 2017 that you need to know about! By exclusive performances, we mean you can only see these artists at Bluesfest next Easter, they will not be performing anywhere else! 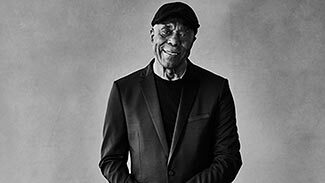 Bluesfest veteran Buddy Guy is an iconic blues guitarist and singer and has been a pivotal force in music history. We last had Buddy Guy, who is now 80 years old, perform at our 25th Anniversary festival in 2014 and he received reviews like the below. Expect no less at his two exclusive performances at Bluesfest in 2017! “Buddy Guy hit the stage and it was truly special to see blues royalty performing with such joy and charisma.” AMERICAN BLUES SCENE. 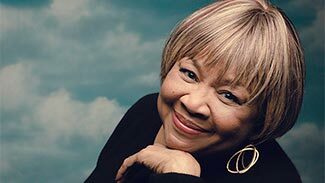 One of the greatest gospel, soul and blues singers of all time! Click on the playing schedule below to see when you can catch these incredible exclusive performances!!! JANUARY 2017 AUSTRALIAN TOUR ANNOUNCED! Chart-topping multi-platinum reggae-pop outfit UB40 have just revealed national Australian tour dates for January 2017. With the band’s beloved original front-man ALI CAMPBELL at the helm, together with founding members ASTRO and MICKEY VIRTUE, UB40’s Australian return will be one of the most anticipated events of the year. Returning to our shores off the back of lauded performances at Bluesfest 2016, Ali Campbell’s UB40 will hit the stage in 2017 for all-ages appearances including the picturesque Sandstone Point Hotel at Bribie Island on Sunday 15th January. *There will be no Brisbane show! Tickets for Michael Franti & Spearhead’s Melbourne and Sydney shows this September are still available but selling fast! For more information and to buy tickets click here. The Bluesfest blog is the place to go to get your extra dose of everything Bluesfest! 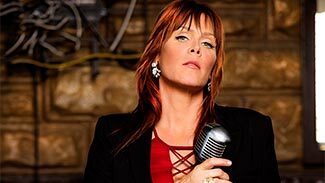 Don’t miss our latest blog post featuring the alumni artists of our first Bluesfest 2017 announcement including Zac Brown Band, The Lumineers, St. Paul & The Broken Bones, Beth Hart and more! Find out when these artists last performed at Bluesfest, what they have been up to since and why you shouldn’t miss them at Bluesfest 2017! Your friendly Bluesfest Team, who is always happy to take your call.